The physicians at the physician's practice of UT Health San Antonio's Neurosurgery have a comprehensive understanding of this rare and complex nerve condition. Trigeminal neuralgia (TN) is a condition that affects one of the largest nerves in the head, the trigeminal nerve. TN is a chronic-pain condition and has been called one of the most painful conditions known to humans. As the name suggests, the trigeminal nerve has three branches. More than one news branch can be impacted by trigeminal neuralgia and both sides of the face can be affected either at the same time or at different times. The upper (ophthalmic), middle (maxillary), and lower (mandibular) portions of the face carry sensations from the trigeminal nerve to the brain. The upper branch carries sensations to most of the front of the head, including the scalp and forehead. The middle branch carries stimulations from the cheek, upper lip, upper jaw, teeth, gums, and side of the nose. The lower branch supplies sensation to the lower jaw, teeth, gums, and bottom lip. Because TN affects fewer than 200,000 people in the United States, it has been listed as a "rare disease" by the National Institute of Health. It has been estimated that one in 15,000 people suffer from TN, but those numbers may be significantly higher than the actual rate due to frequent misdiagnosis. Please call 210-450-9060 to make an appointment or obtain a second opinion for TN. Trigeminal neuralgia (TN) is characterized by a sudden, severe pain typically felt on one side of the jaw or cheek. Patients most frequently describe the pain as shocking, electric-like or stabbing. Pain may occur on both sides of the face, although not usually at the same time. Attacks, which generally last several seconds, can come and go throughout the day, sometimes repeating in quick succession. Episodes can last for days, weeks, or months at a time and then disappear for months or even years. In the days before an episode begins, some patients experience a tingling or numbing sensation. Others experience a constant aching or burning pain instead. Intense flashes of pain can be triggered by vibration or contact with the cheek: shaving, washing the face, applying makeup, brushing teeth, eating, drinking, talking, or being exposed to the wind. Pain may affect a small area of the face or it may spread. Bouts of pain rarely occur at night, when the patient is sleeping. If more than 50 percent of the pain a patient experiences is sudden, sharp, stabbing, shocking, or intermittent, that person is often diagnosed with Type 1 TN. Patients are diagnosed with Type 2 TN if more than 50 percent of their pain is constant, aching, or burning. The onset of TN symptoms most often occurs after age 50, but TN cases have been documented in children and even infants. TN is not fatal, but it can be debilitating. It is sometimes called “suicide disease” because it is the most painful affliction known to medical practice. The disorder is more common in women than men. Some evidence shows that it runs in families, perhaps because of an inherited pattern of blood vessel formation. There is no single test to diagnose trigeminal neuralgia (TN). 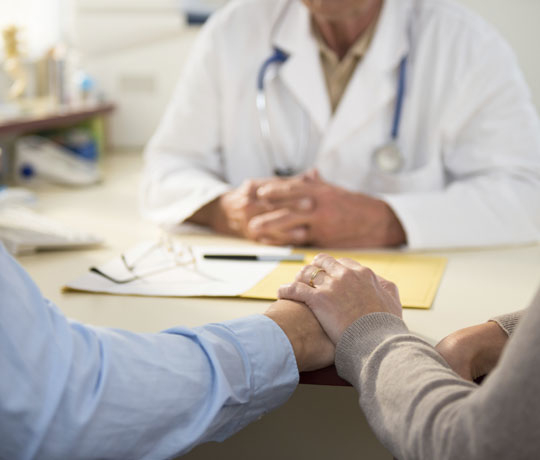 Generally, physicians will base a diagnosis on a patient’s medical history, a description of their symptoms, a physical examination, and a thorough neurological examination. Magnetic Resonance Imaging (MRI) is used to rule out a tumor or multiple sclerosis. Magnetic Resonance Angiography (MRA) can more clearly show blood vessel problems and any trigeminal nerve compression close to the brainstem. Aside from demonstrating brief facial spasms during an attack, patients suffering from TN may not present any outwardly noticeable symptoms. Physicians might attempt to determine if there is a psychological cause rather than a physiological abnormality, especially if there is no apparent compression of the trigeminal nerve. Because TN symptoms might overlap with those of other conditions, obtaining a correct diagnosis is difficult. Many TN sufferers are confined to their homes or unable to work because of the frequency of their attacks and the side effects of medication. Because their experience is so isolating, TN patients (especially younger ones who are often under-treated for chronic pain) frequently battle clinical depression. It is important for family and friends to educate themselves about the severity of TN pain and try to understand the limitations it imposes on patients. Treatment options for those with TN include medication, nerve blocks, complementary approaches or various surgical procedures. Trigeminal neuralgia (TN) is frequently caused by a blood vessel pressing against the trigeminal nerve as it exits the brainstem. The pressure created by the blood vessel causes the myelin sheath (the protective coating surrounding the nerve) to wear down and malfunction. Patients with multiple sclerosis are predisposed to myelin damage and scarring; for this reason, they are about 20 times more likely to develop TN. Myelin deterioration can also be caused by a nearby tumor compressing the nerve and damaging its myelin sheath. Sometimes the trigeminal nerve can be damaged during dental procedures, such as root canals, extractions, and gum surgeries. In other cases the exact cause is unknown.